Last week, we went over how to clean up before a party. Now, we’re going to tell you what to do to clean up after a party. If you follow our suggestions, it shouldn’t be too bad. 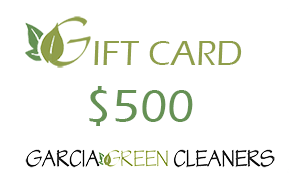 However, know that you can call Garcia Green Cleaners to clean up before and after a party. We’re happy to do both. The first tip that we suggest is that you clean up your kitchen before the party. Make sure the dishwasher, countertops and sink are empty. This way you can fill them up easier when after a party is done. Go through the party rooms with a garbage bag, a laundry basket and a dish tray. Collect all the items that are out of place. Put the trash in the garbage bag, things that belong in other rooms in the laundry basket and non-paper dishes and silverware in the tray. Of course, if you use plastic and paper for the party, you’ll have an easier cleanup, but that doesn’t mean you’ll have no dishes to wash. Think of all the items you used to cook stuff in and contain stuff. Put the items you collected where they belong. If the trash is overflowing, take it out. If the sink is overflowing, put some items into the dishwasher and, when that’s full, start it. You may have to do more than one cycle of dishes, but that’s the price you pay for an excellent party. It’s not very steep. Also, remember to recycle what needs to be recycled. Clean the floors. When you go through the rooms a second time, bring your broom and a mop if you have laminate or hardwood. Sweep up the dust and debris off the floor and put it into the trash. If you need to mop, do that too. If you’ve got carpets, you might want to vacuum. Pick up any streamers or balloons or other party items as you go through and toss them in the trash or recycling bin. We suggest you make it easy on yourself and don’t use these items, but, if you must, make them paper products that are easy to take down and clean up. You may want to spot clean the bathrooms in case people have messed them up. It couldn’t hurt. Just take a quick microfiber cloth and clean all areas. Sweep if you have too as well. Just make sure you don’t have any leftover party ‘debris’ in your bathrooms. Voila, you’re done and it didn’t take as long as you thought. Remember, if you dread the after-party cleanup so much you want to delay it as long as possible, we suggest you call Garcia Green Cleaners. We’ll take care of your party cleanup for you. We can be reached in Austin at 512-705-2812.